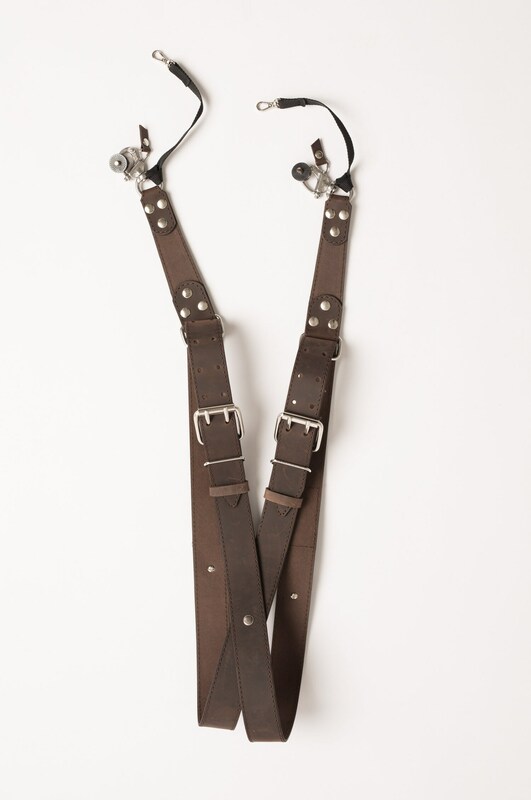 "Crazy horse" brown leather harness by SHYZUKA STRAPS. 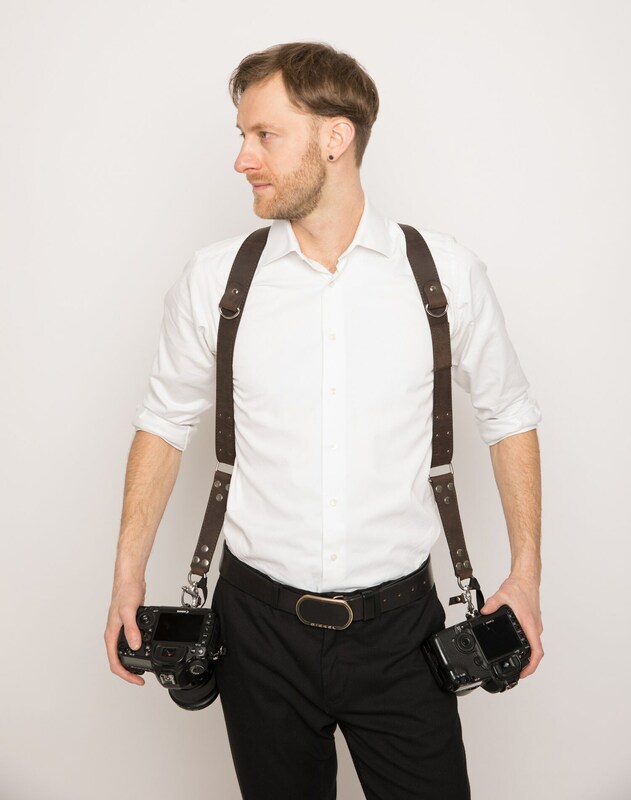 This two cameras harness completely handmade and originally designed by SHYZUKA STRAPS is suitable for everything all day weddings and studio shoots, travel and wildlife photography and sporting events. 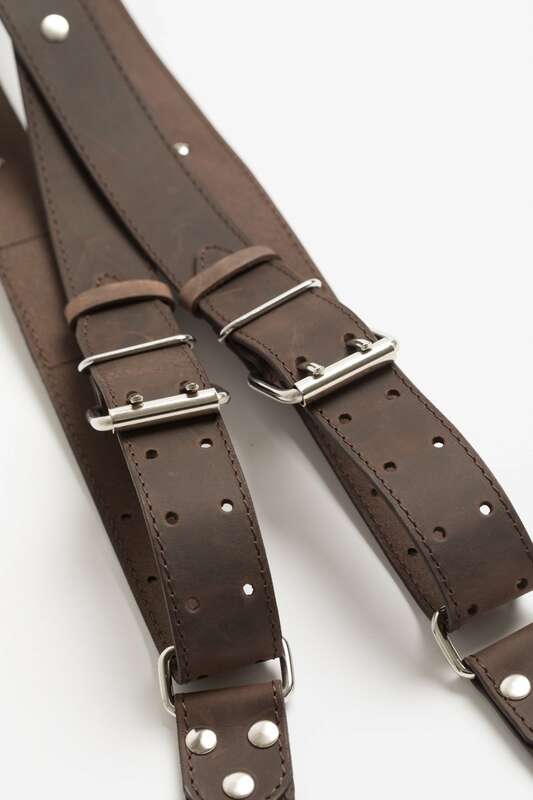 The Crazy Horse leather is characterised by a pliable, unique antique appearance. 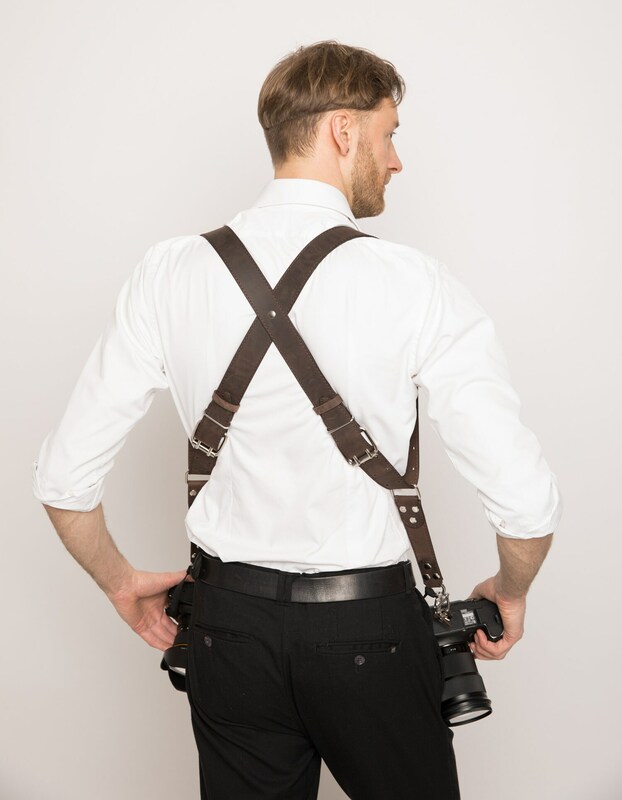 The anchored metal rings and safety straps for ultimate security and impeccably versatile design make this an essential tool for the modern photographer. 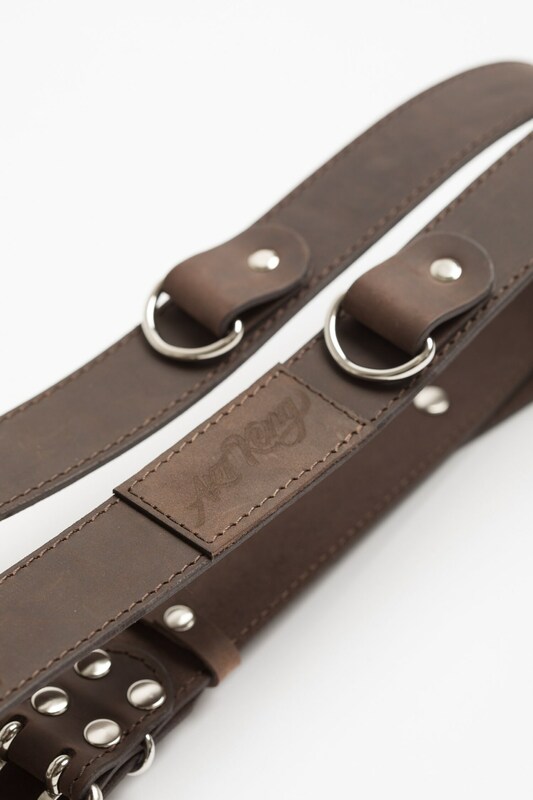 – Very strong and durable "Crazy Horse" brown leather. The more you use it, the better it looks! I love this. The shipping was fast and the product is so good. It looks great too. 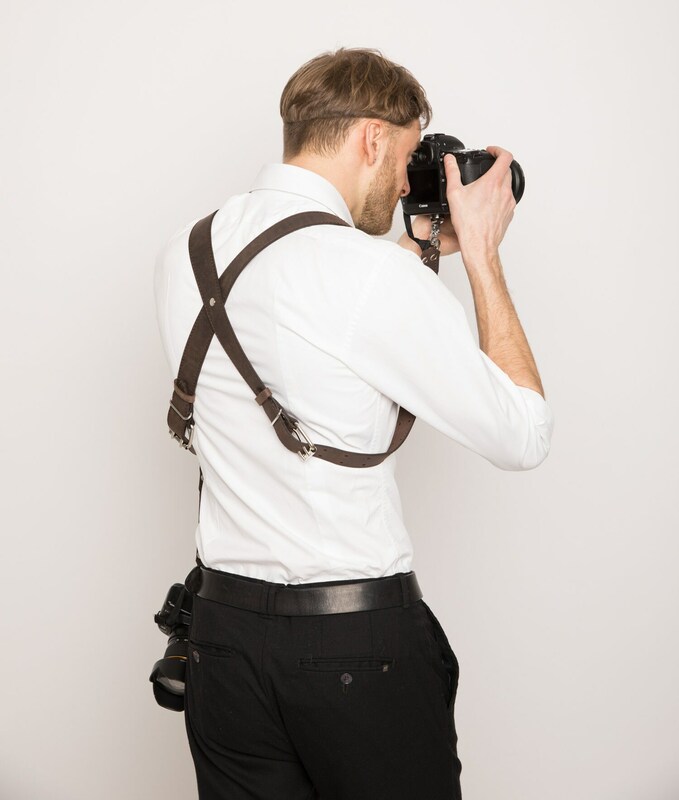 This is the first dslr harness I own and I have to say that it makes my job a lot easier, as I expected. 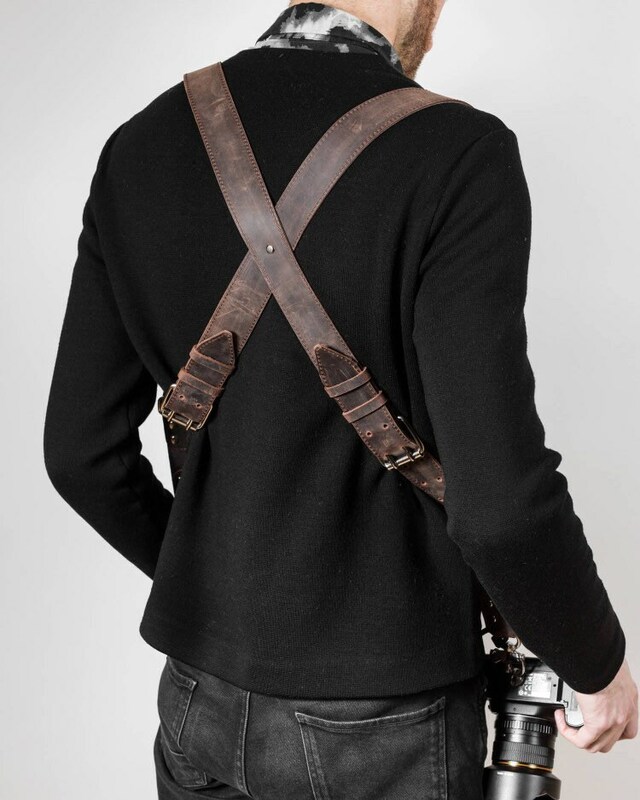 The thing that did not expect was to receive a harness different from what I saw. 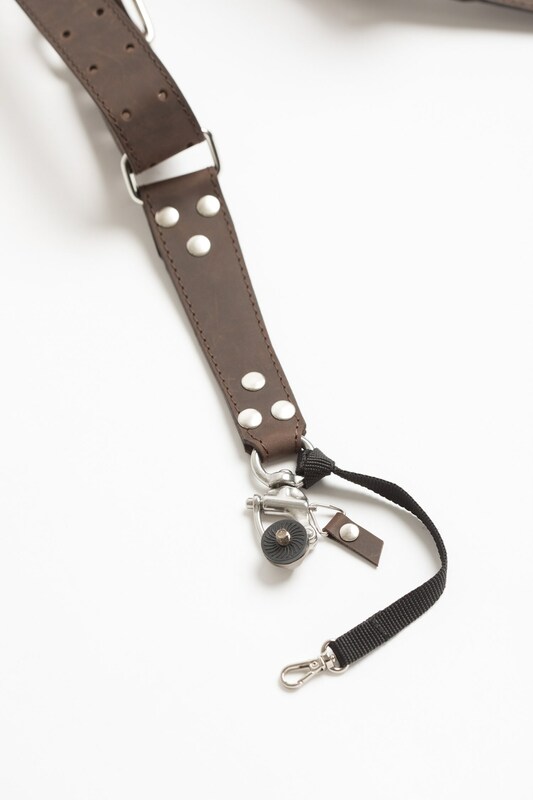 The 3/5 rating is because the item I received had some design differencies from the one that was displayed on Etsy (f.e., the leather piece that the clasp is attached should be rectangular, with 4 rivets in each side and not a triangular like, with 3 rivets). 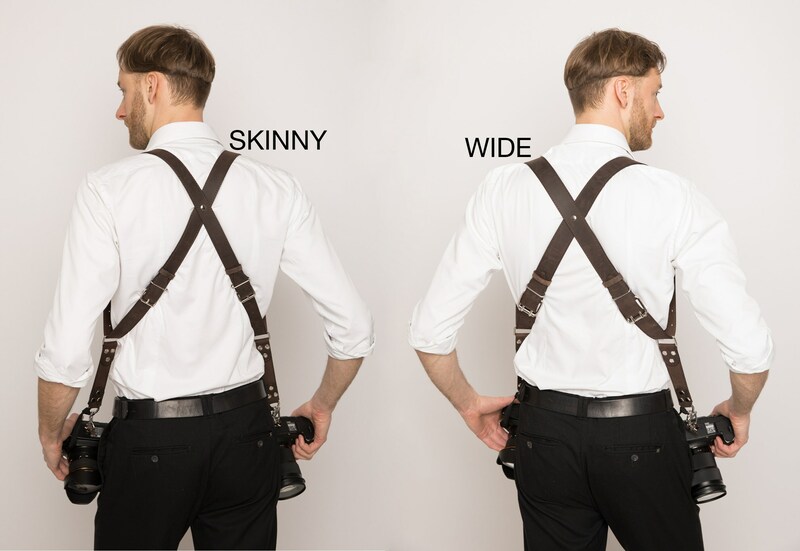 The seller was kind enough to admit that he "updated" the harness' s design without changing the photos of the product. He proposed a replacement, but since the buyer covers the postal expenses of the returning item, I chose to keep it instead of paying three times shipping costs.